We finish the year with a presentation from our current resident, James Norcliffe, at the National Library on Thursday 6 December, from 12:10 to 1:00 pm. James wears a number of writing hats. 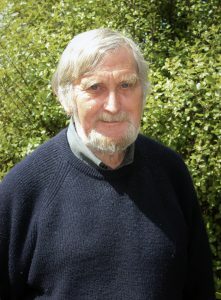 He is a children’s writer, poet, editor, teacher of creative writing and promoter of poetry in Christchurch. Apart from a collection of short stories set in China, The Chinese Interpreter, and a few other short stories, he has rarely written fiction for adults. Hie time in the Randell Cottage has given him the opportunity to write a novel for grown ups. His wide-ranging talk will include readings from recent published work and background on how the pieces came about and then – braving the superstition regarding talk of work in progress – he will discuss The Frog Prince, his current Randell Cottage project. Venue: Programme Rooms, National Library, corner Molesworth and Aitken Street. Admission: free, although koha is appreciated as a contribution to the maintenance of the historic Randell Cottage.